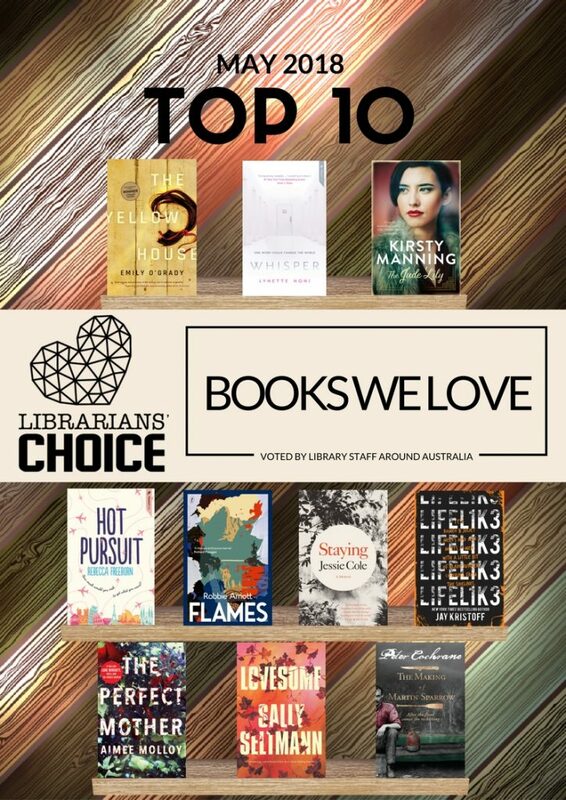 The top 10 May 2018 release books as voted for by library staff around Australia is here. There are a variety of genres in the list with the Australian Vogel Literary Award 2018 Winner – The Yellow House being one of them. Click on a title to reserve a copy now. For two years, six months, fourteen days, eleven hours and sixteen minutes… Subject Six-Eight-Four, ‘Jane Doe’, has been locked away and experimented on, without uttering a single word. Life at Lengard follows a strict, torturous routine that has never changed. Until now. When Jane is assigned a new—and unexpectedly kind—evaluator, her resolve begins to crack, despite her best efforts. As she uncovers the truth about Lengard’s mysterious ‘program’, Jane discovers that her own secret is at the heart of a sinister plot. …. And one wrong move, one wrong word, could change the world. This entry was posted in Awards & Prize Lists, Fiction, Non Fiction, Recommended Reading, Staff Favourites and tagged Librarians' Choice, Staff picks by Parra Reader. Bookmark the permalink.